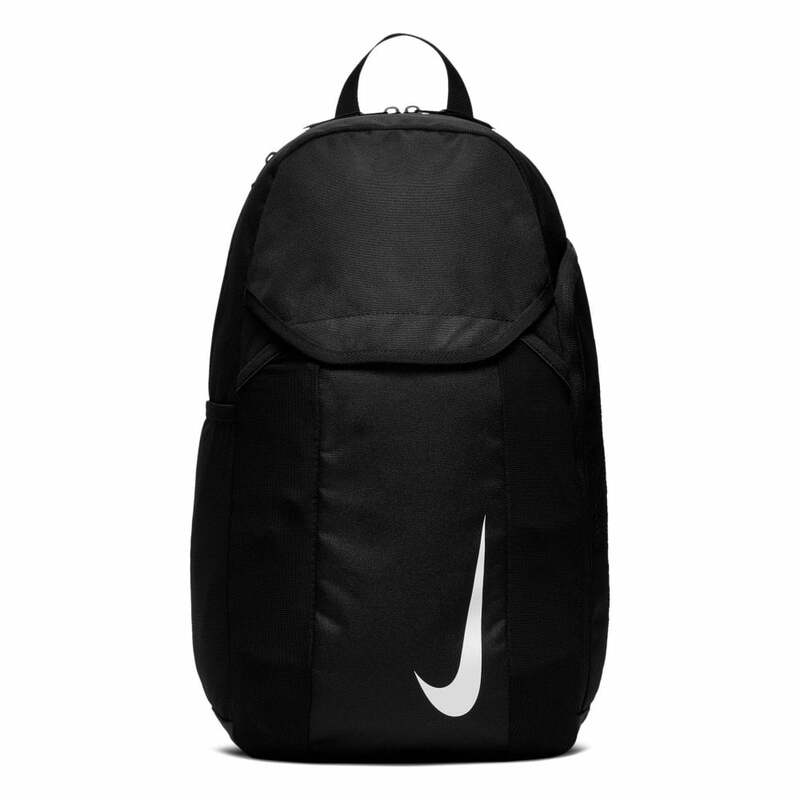 This Nike Academy Team Football Backpack is 100% polyester, black in colour and has a 30 litre capacity. There is a main zip-fastened compartment with an internal wet/dry separator to keep you gear clean and organised and a zip-fastened mesh compartment, perfect for ball storage. It has a mesh pocket on the side for your water bottle and a zip fastening side pocket with ventilation for boot storage. The shoulder straps are padded and adjustable for comfortable carrying with a haul loop on the top for easy carry options. Nike branding appears printed on the on the front and shoulder strap as well as on the zip tags.